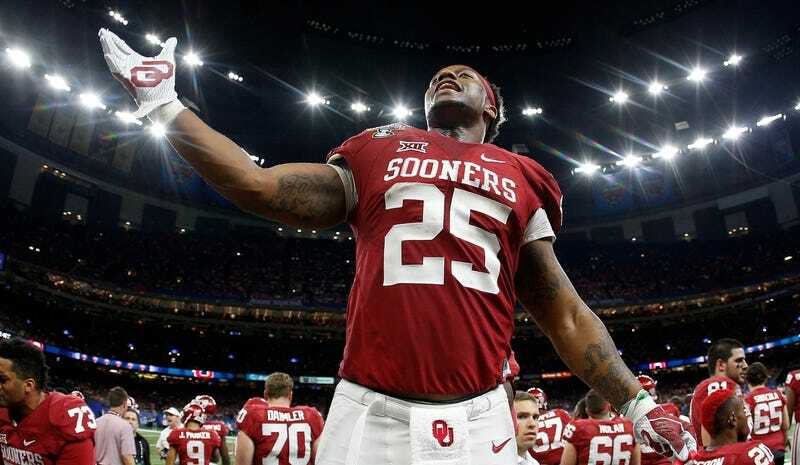 Joe Mixon's Agent Says Video Of His Client Punching A Woman Can Be "An Educational Tool"
Joe Mixon’s agent, Peter Schaffer, went on 98.1 FM in Oklahoma City today and the session on the Monster of the Midday got contentious pretty quickly. It included a long diatribe from Schaffer about how his client had learned from what he did and was no different than any other 18 year old who made a mistake, and saying the video of his client punching fellow student Amelia Molitor, breaking multiple bones in her face, had the potential to be “an educational tool” if used properly. Answering another question, Schaffer pivoted to talking about why his client will be okay: NFL teams want to win, and Mixon is a talented football player. There are going to be questions about if this young man will help a team win. At the end of the day, if he can help a team win because he’s a great talent, on and off the field, and the team are comfortable that he will provide them with a better chance to succeed they will draft him. It’s very simple. Joe has a great opportunity in front of him. He has an opportunity to prove that the wonderful second chance that he was given by the University of Oklahoma, Coach Stoops, and Coach Gundy and the athletic department and the school president. To go back and rectify the mistake that he made, that he’s admitted up to, that he’s owned up to and as an 18 year old young man to prove to people that, shoot, he is worthy of this second chance. That’s what he’s gotta to do. And it’s no different than any other 18 year old that’s made a mistake, some greater, some less. When asked what Mixon is doing to ensure he has changed, Schaffer said they had “a fantastic plan and program in place” but gave no details on what that plan or program might include.